Glenda J Rice, beloved wife, mother, grandmother and great-grandmother, passed away peacefully on July 26, 2018 in Colorado Springs, CO.
She was born in Montgomery County, Kansas on June 8, 1938. She was an avid outdoors women who loved to fish and travel in her RV. Glenda worked for Sears as an accountant and then for Immanuel Lutheran Church as a secretary. 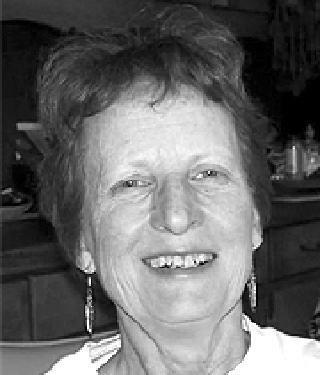 She leaves behind to cherish her memory, devoted children; Bobby and Wendy Allen, Jack and Jeanie Allen all of Colorado Springs, Colorado; sister, Twila Deeren; brother, Dale Boger; grandchildren, Josh, Brandy, Cory, Shay-Lee Allen, Bobby Jr. and David Rice and great-grandchild, Conner Allen. She was preceded in death by her husband, Robert Rice; her parents and two siblings. Visitation will take place Saturday, August 4, 2018 at 10:00 am with service following at 11:00 am at Immanuel Lutheran Church, 846 E. Pikes Peak Ave. In lieu of flowers, memorial contributions may be made to Immanuel Lutheran Church 846 E. Pikes Peak or Lutheran Memorial Fund.